Frank Welker, legendary voice actor and original voice for MEGATRON, to appear at BotCon 2015 on June 19th and 20th. This will be Mr. Welker's first ever convention appearance. Fort Worth, TX - March 26, 2015 - Fun Publications, Inc., licensee for Hasbro's official Transformers Collectors' Convention BotCon, announced today that Frank Welker, one of the greatest voice actors of our generation, will be the featured guest for BotCon 2015. From his first voice role as Fred on the Hanna-Barbera series Scooby-Doo, Where are you! to the voice of one of the most iconic villains in cartoon history, MEGATRON, the tyrannical leader of the Decepticons, Frank Welker's characters have entertained kids of all ages kids for over 40 years! This year's award-winning convention featuring Frank Welker will take place at the Pheasant Run Resort June 18th thru June 21st in the great city of St. Charles, right outside of Chicago. You can make your hotel reservations now at BotCon.com. 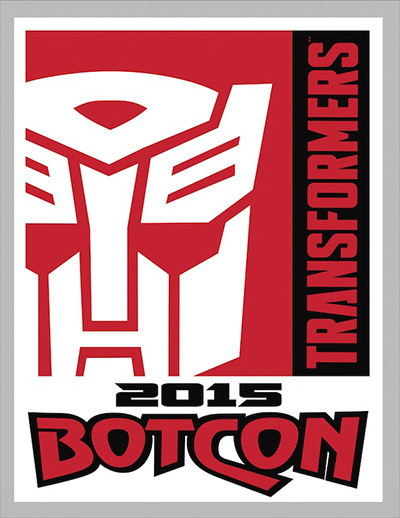 BotCon is headed back to the Midwest in 2015, show to be held in St. Charles/Chicago, Illinois June 18th - June 21st! Fort Worth, TX - October 24th, 2014 - Fun Publications, Inc., licensee for Hasbro's official Transformers Collectors' Convention BotCon, announced today that next year's award-winning convention will take place at the Pheasant Run Resort June 18th thru June 21st in the great city of St. Charles, right outside of Chicago. In 2015, fans from the Midwest and across the world will be able to celebrate another exciting year of the Transformers brand at this amazing event! You can make your hotel reservations now at www.BotCon.com/BotCon2015. BotCon 2014 Coming to Pasadena, California June 19th - June 22nd! Fort Worth, TX - December 24th, 2013 - Fun Publications, Inc., licensee for Hasbro's official Transformers Collectors' Convention, BotCon, announced today that next year's award-winning convention will take place at the Pasadena Convention Center June 19th thru June 22nd in the beautiful city of Pasadena. Next year, fans will be able to celebrate both the 20th anniversary of BotCon and the 30th anniversary of the Transformers brand at this amazing event! PAWTUCKET, R.I. (April 24, 2012) – Thousands of TRANSFORMERS fans from around the world will celebrate the iconic brand from Hasbro, Inc. in Dallas as the TRANSFORMERS fan convention known as "BOTCON" serves up a Texas-sized helping of AUTOBOTS and DECEPTICONS from April 27-29. Hasbro and the TRANSFORMERS Collectors' Club, will be offering opportunities to engage in and learn about the TRANSFORMERS brand that can only be experienced at BOTCON.